For use with: Sage 200 Financials & Commercials 2009 (v6.2) to 2018 Summer (v12.00.0020). About the User: This project was commissioned by a client who sells various types of trophies and awards; predominantly business-to-business but also occassionally to end users. Due to the relatively high volume and competitiveness of the industry, they frequently find themselves offering discounts to clients in order to win business. Project Brief: This piece of work was part of a larger customer specific pricing project; this small add-on was completed as a complimentary addition to the Sage 200 Pricing add-on in order for the Users to easily apply a discount to the entire list of Products on a Sales Order. 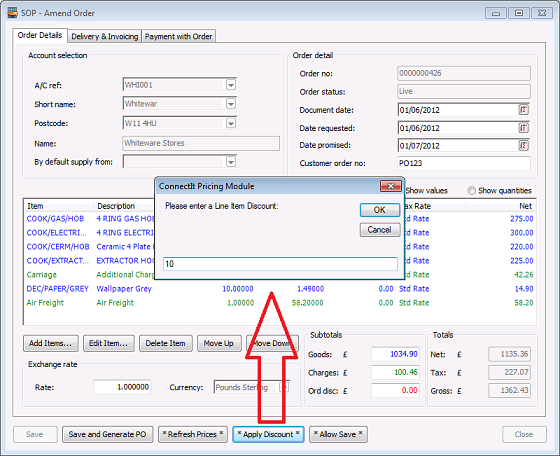 Allowing User to enter the percentage Discount they would like to apply to the Line Items on the Sales Order. Updating the individual Line Item Discount percentages and Totals. 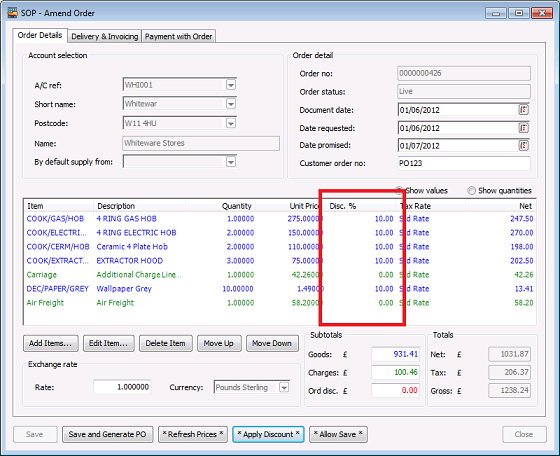 Updating the Sales Order Total and VAT amounts. 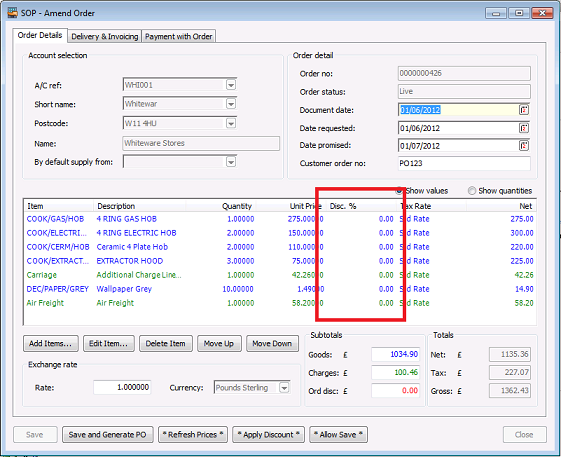 Quick, efficient and accurate updating of the Sales Order Discount percentages in just a few clicks. Replacement of the previous very manual methos of clicking into each individual Line Item to change the percentage saving huge amounts of time.